Inspired by Spring and our excitement about the bustling that is happening in our own garden, I wanted to do a little giveaway. 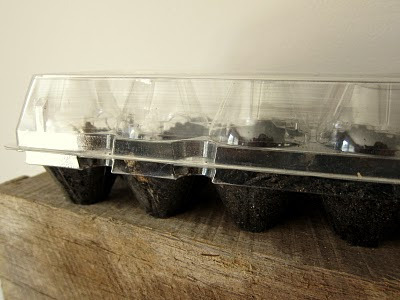 So, I put together an egg carton filled with organically planted seeds just waiting for you. 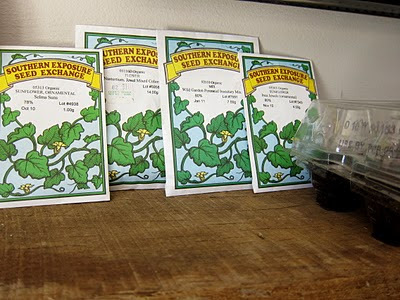 The seeds included are wildflowers and edibles; they only need your loving watering to get started! 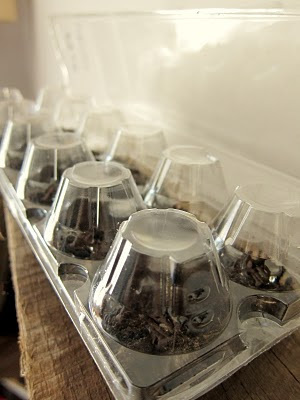 Just place the carton in a window sill with plenty of sun and let this recycled ‘greenhouse’ do its work! Once they sprout, replant them in the place of your choosing! TO ENTER: feel free to do all 3, but comment once for each! of course, when you linkie, you can add this darling button to your post for fun. We’ll choose the winner Tuesday, April 12th. 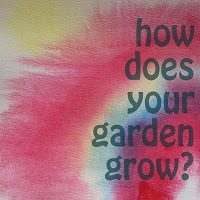 Tags: garden, giveaway, how does your garden grow? Oh, boy, I hope I win! ooo…at six weeks postpsrtum and finally getting some energy, I can't wait to start gardening! Sweet idea! I gave seeds as a give-away one time and that particular give-away still gets brought up from time to time by my friend who was one of the winners. i thought folks might like it–although, seeds can be intimidating! Not a lot of blogging about gardens yet, but it's coming! What a great giveaway! I'm doing my first gardening post of the year tomorrow.